the Rusyn language during the preceding five years. The Chepa annual Dukhnovych Prize, awarded to promote the use of the Rusyn language in works that make a significant contribution to Rusyn literature, is funded by Steven Chepa of Toronto, Canada, and administered through the Carpatho-Rusyn Research Center. Volumes of fiction and poetry published between 2004 and 2008 are eligible for the 2009 prize. Three copies of each book should be submitted by the author or publisher, accompanied by a brief biographical statement about the author. Deadline for submission is April 1, 2009. The judging panel for the 2009 prize includes Professors Elaine Rusinko and Maria Pavlovszky (USA), and Valerij Kupka (Slovakia). Approximately 1.3 million Carpatho-Rusyn Americans trace their ancestry to the Carpathian Mountain region of Eastern Europe. Most of their ancestors immigrated between 1880 and 1914 from lands that now form part of Slovakia, Poland, and Ukraine. A stateless people for their entire history, Carpatho-Rusyns have also been known as Rusnaks, Carpatho-Russians, Carpatho-Ukrainians, and Ruthenians, and those from the northern slopes of the Carpathians are called Lemkos. Most Carpatho-Rusyns are adherents of eastern Christianity, either Orthodoxy or Byzantine Catholicism, and the church was traditionally the center of Carpatho-Rusyn social and cultural life, along with fraternal societies and brotherhoods, such as the Greek Catholic Union of Rusyn Brotherhoods (Wilkes Barre, PA) and the United Societies of the Greek Catholic Religion (McKeesport, PA). Today, Rusyn cultural development is supported by secular organizations such as the Carpatho-Rusyn Research Center (Ocala, FL), the Carpatho-Rusyn Society (Pittsburgh, PA), and the Rusin Association (Minneapolis, MN). Initially, literary works by Rusyns appeared in nearly sixty newspapers and other periodicals published for the Rusyn-American community, the most widespread being the Amerikansky Russky Viestnik (American Russian Messenger, 1892-1952), Prosvita (Enlightenment, 1917-2000), Vostok (The East, 1919-50), Lemko (1928-39), Den’ (The Day, 1922-26), and the short-lived literary monthly Niva (The Field, 1916). Rusyn-American literature was also published in the annual almanacs put out by the various fraternal organizations, which, in addition to poetry and prose by Rusyn writers, generally included a monthly calendar, popular articles on Rusyn history and culture, and biographies of famous Rusyns. The tradition of the almanac or kalendar has recently been revived in the United States with the Carpatho-Rusyn Society’s publication of the Rusyn-American Almanac 2005. However, the original almanacs and newspapers are now difficult to obtain and for some titles, complete sets are no longer available. There have been few studies of Rusyn-American literature and there is no bibliography of Rusyn-American publications. At the beginning of June 2008, Rusyn and Ludove Noviny press issued its 27th publication (it was the 84th publication prepared by the editorial office of the same name) – an anthology of fables by Jozef Kudzej entitled WISDOM OF LIFE (Мудрость жывота) (Prešov 2008, 88 pages). Jozef Kudzej (born on February 24th, 1952 in Ňagov, Medzilaborce region) is no stranger to Rusyn culture, and especially Rusyn literature. His fables were first published in Narodny Novŷnky Press and the Rusŷn magazine after 1989, and they were impossible to miss, they attracted many readers. Spiritual poetry and translations of religious texts into standard Rusyn stands as one pole of his literary work, the other one is represented by fables. With wit, so typical for him, he said that the best time for him to write is Friday after confession with a “clear mind and soul “. Through his fables, he not only intended to interpret a primary idea, but also pass on this “wisdom of life“ in a humorous way, so that the reader might laugh and enjoy himself. In such situations, it is difficult to give birth to words, it is necessary to “contemplate“, choose, try one word against the other, in order to achieve the perfect effect. The book of fables by J. Kudzej is written in a simple style, understandable to all readers regardless of age or education, which is why it will surely be sought-after “literary nourishment“ not only for Rusyn readers. The publication can be ordered or purchased from the following address: Rusín a Ľudové noviny, Duchnovičovo nám. 1, 081 48 Prešov, Slovakia, Phone: 0905 470 884, E-mail: rusyn@stonline.sk. The book itself costs 10 $ (7 €), or including package and postage within Europe and world. This is what we could call the newest publication by PAUL ROBERT MAGOCSI, a Professor at Toronto University, a member of the Royal Canadian Academy of Science, entitled “НАРОД НИВЫДКЫ – ілустрована історія карпаторусинôв“ (THE PEOPLE FROM NOWHERE– Illustrated History of Carpathian Rusyns). It was issued recently by the V. Paďak Publishing House (Uzhhorod, 2007). The book is written on 120 pages and in a concise way (which is not easy, as, like the author said, it is a lot easier to write lengthily) presents the history of Rusyns from our ancestors in the oldest times until the present day. It is written in a reader-friendly style and can serve children in schools as well as the youth and adults. This precious and interesting book will be presented to all children learning the Rusyn language and culture at schools, but it can also serve as a nice gift for every Rusyn. First, the book was published in English (one part in Uzhhorod (2006) and the other in Toronto (2006), and later translated from English into Ukrainian by Serhij Bilecky and Nadija Kuško (published in Uzhhorod 2006). Consequently, Valerij Paďak, CSc. translated it into Rusyn and he also prepared commentaries to pictures, since about half of the book’s content consists of high-quality illustrations, which the aforementioned translator and publisher chose from the rich archive of Paul Robert Magocsi and the Research Centre of Carpathian Studies at the V. Paďak Publishing House. 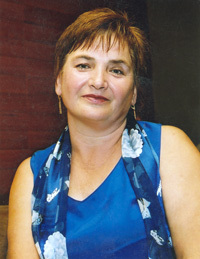 Larysa Iľčenko was the editor in charge and the author of the graphical layout of the work. This has been the 155th book published by the V. Paďak Publishing House in Uzhhorod and it has all the characteristics necessary to become a manual for all conscious Rusyns. This book will, however, be published in other languages, too, so that as many Rusyns and members of other nations as possible could learn about the history of Rusyns. Versions in Slovak, Romanian, Polish, language of Rusyn Duchy in Serbia, Serbian, Croatian, Czech and Hungarian are being prepared (basically in the languages of all those countries where the most Rusyns live and where membership organisations of the World Congress of Rusyns have their headquarters). The Romanian version (all being well) is supposed to be issued before the 9th World Congress of Rusyns in the Romanian town of Sighetul Marmaţiei, taking place on June 21st – 24th, 2007. It would be a good promotion of not only the Congress, but Rusyns in Romania in general. It is thanks to Steven Chepa, a Rusyn philanthropist, sponsor, President of Norstone Financial Corporation in Toronto, Canada, that this book has already been published in three and will be issued in several further languages. Big thanks to him for his beneficial deed. Thanks to him, all school children who learn Rusyn, be it in Slovakia, Ukraine, Poland, Hungary or Serbia, will get a free copy of the book. Everybody else can buy or order the book on the following addresses: Akadémia rusínskej kultúry v Slovenskej republike or: Svetový kongres Rusínov (for those who prefer to send a cheque), Duchnovičovo nám. 1, 081 48 Prešov, Slovenská republika. The book can also be ordered by phone from the following number: 0905 470 884 or the following e-mail address: rusyn@stonline.sk. The book is hardback and full-colour, and, yet, it can be purchased for only 200 Sk plus 50 Sk p&p (within Slovakia), $8 plus $8 p&p (for neighbouring countries), $8 plus $13 (for other European countries) or $8 plus $16 p&p (for countries outside Europe). The reason why the book is so cheap is that we want it to be affordable for everybody! We hope for high public interest. Those who want to buy the book in person from the aforementioned address can do so on Mondays and Wednesdays from 8 to 10.30 am. Timkovic Andrew (1919-1987) - the story about normal married priest - (Timkovič Andrej (1919-1987) - príbeh zvyčajneho ženatého farára), Presov, 2007, 464 pp. This story of an obedient and faithful, loving priest is written in Slovak language. 19th of the March 2007 Revs. Timkovic asked Holy Father Benedict XVI, and local Greek-Catholic bishop Milan Chautur, CSsR - CLICK HERE, to begin process of the "cause" of Rev. Andrew Timkovic (1919-1987), who was heartily persecuted by the Nazis, atheist Communists and Roman-Catholics (see published preface below). Timkovics believe that their paternal father's love and holiness, exemplified by the saintly life of Rev. Andrew Timkovic (martyrized by Roman Catholics), will help not only to get Orthodox and Roman Catholic Churches recognizing their common struggles, but also to fulfill a significant priority of the Pontificate of His Holiness Benedict XVI in seeking UNITY BETWEEN ORTHODOX AND ROMAN CATHOLICS as the best solution in following Christ's Instructions to today's Apostolic Churches. Every era has her faithful martyrs whose lives bring witness and help on our journey of faith, especially in this time period. Greek-Catholic priest Father Andrew Fedorovic Timkovic (1919-1987) is one of those outstanding obediently faithful; he is a simple but clever man whose life story bears evidence of power he drew from his Catholic faith even in the hard days of his life. As a Ruthenian Greek-Catholic priest he lived his life serving God although, at times, executing his pastoral service under public pressure. Father Andrew raised 4 children and all completed University studies (one doctorate of human medicine, two doctorates of vet medicine and one electrical engineer). Three of the four Timkovic children have graduated from Theological Colleges (later after their father Andrew death). Therefore, we can say the eldest of children graduated at one College and other three at two Colleges! Andrew was accused by the fascists because he sympathized with the Communists; later he was persecuted by the Communists for he was always faithful to the Roman Catholic Church (Union), also named the Latin Church. Finally, he was persecuted by the Latins because he defended Greek-Catholic rite (Greek-Catholic particular Ruthenian sui iuris Church) against Latinization. - In the Nazi era Andrew Timkovic was victimized and imprisoned by the Gestapo and Horthy police for his sympathy with the Communist intended ideology, which was highly socially attractive at its begining. - After the elimination of the Greek-Catholic Church in Czechoslovakia in 1950 he was persecuted and victimized by the Communist Regime for his allegiance with the Pope and because he did not agree to communist constrained Orthodoxy. - After 1968, when the self-governing particular Greek-Catholic Church in Czechoslovakia was restored with limitations, Father Andrew Timkovic was intrigue-persecuted by the local Roman-Catholic hierarchy as he remained strongly faithful to his Greek-Catholic Church; Father Andrew strongly protested the illegal transfer of worshippers and property into the Latin church. - "But even if you should suffer for what is right, you are blessed" (1Pt 3,14). - "Blessed are those who hunger and thirst for righteousness, for they will be filled" (Mt 5,6). - "Blessed are those who are persecuted because of righteousness, for theirs is the kingdom of heaven" (Mt 5,10). - persecuted during Communist reign (denial of the proper description RUTHENIAN-RUSYN and forced usage of the insensitive title UKRAINIAN; the 1950 elimination of Ruthenian Presov Greek-Catholic eparchy and in 1968 replaced it with the Slovak Presov Greek-Catholic eparchy). - violently assimilated and latinized when Rusyn-Ruthenian Greek-Catholics were forced by local church hierarchy (assigned by Vatican Slovak chauvinists) to switch to improperly named Slovak Greek-Catholics and subsequently to Slovak Roman-Catholics. Just recently we have come across another Rusyn Greek-Catholic calendar, this time for 2007, although it was issued towards the end of 2006. Apart from traditional religious notations after the Julian and Gregorian calendars, it includes many interesting articles, especially about our significant clerical guides from the past – Father Emil Kubek and Father Joaniki Bazilovych, OSBM. Looking in more recent history, we can find an article about St Ján Zlatousty (344 – 407), the 1600th anniversary of whose death is commemorated in 2007. This is the third Greek-Catholic calendar that has been issued in Rusyn, written mainly in Roman script, to a lesser extent in Cyrillic. 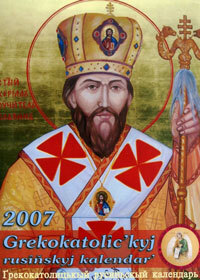 On the cover, there is an icon of St Cyril – a teacher of Slavs. The calendar was issued by the Association of St John the Baptist under the leadership of the editorial team: Father ThLic. František Krajňák, Jozef Kudzej, Father Mgr. Jaroslav Popovec and Mgr. Marek Gaj. The calendar will surely please all Rusyn Greek-Catholic believers, but not only them. The address of the editorial office: Gr. kat. farský úrad, 065 32 Kamienka 140, Slovensko, tel. : 052 / 43 21 557. 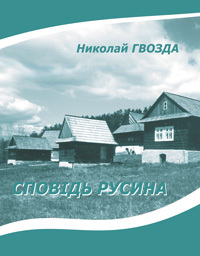 Another publication dedicated to the history of Carpathian Rusyns, was issued towards the end of 2007 in Uzzhorod under the attractive title: Народ нивыдкы: ілустрована історія карпаторусинôв (The People from Nowhere: An Illustrated History of Carpatho-Rusyns). Its author, Professor at Toronto University and a member of the Canadian Royal Academy of Science Paul Robert Magocsi, has been doing research in the area of Rusyn matters for many years and achieved more than one deserved success. He is an experienced researcher whose work has always been typified by logical argumentation, transparency and credibility, and, at the same time, it has almost always brought some innovation. This publication is no exception. P. R. Magocsi, (this time also with very competent colleagues), prepared a brief overview of the history of Rusyns from the oldest times until the present period in an especially successful form. The publishing company of V. Paďak in Uzhhorod has clearly done a great job and those who are interested can get a book really worth buying. The monograph Народ нивыдкы evidently bears all the signs of a popular academic publication, which is proven not only by its slender size, reader-friendly style, transparent structure and minimised notations, but also a large share of illustrations in its content. At the same time, it is a highly professional and erudite work, written with a great deal of knowledge of the matter, which, in many ways, fulfils even stricter, academic criteria. The first guarantee of professionalism is the author’s name itself. He has never descended to cheap propaganda, he has always written and acted correctly and lead only serious discussions with critics. The author guaranteed objectivity of the presented work especially by always using the outcomes of his own research, which he contrasted with the majority academic opinion. This is how he saved the work from unsupported claims, which can often be found especially in interpretation of the oldest history, beginning with various autochtone theories and ideas about Rusyns as direct inheritors of the original Slavonic or Eastern-Slavonic ethnic group, about their Celtic ethnic origin and so on. To his credit, in the respective passages, he does not present various commonly-spread myths and legends, which many authors use as historic facts. Naturally, the author could not ignore thoughts about a possible Christianisation of Rusyns by Constantine and Method before their important Great-Moravian mission, a mention of Anonymous’s Chronicle about the sad fate of Prince Laborec or records about the Russian mark, which is sometimes interpreted as a specific, autonomous, administrative unit of Rusyn inhabitants in the Hungarian Empire. In favour of forming national identity of Rusyns, documents about the worthy activities of Fedor Korjatovych were naturally used. This is also true about documents characterising participation of Rusyns in the anti-Habsburg peasants’ revolt. Such an approach would be neither academic nor correct. That is why P. Magocsi in the text and V. Paďak in the comments to the illustrations include adequate time and content information connected to the respective sequences. For this purpose, they used primary historic sources, and, in each case they bring the reader’s attention to possible doubts about the credibility of some data and to consequent hyperbole. Although the publication is not large in its content (120 pages including numerous illustrations), this does not decrease its message. This was achieved by the systematic character of the book, even at the cost of dedicating various levels of detail to individual historic periods, events or processes. Some historic facts were only touched upon, some were elaborated upon in encyclopaedic style. In spite of this, the description of the events does not appear dry, as it is often the case with such publications. Undoubtedly, historic development of Carpathian Rusyns is a very complicated process, especially its ethnogenesis. That is why it is far from easy to explain, but this is a handicap of those ethnic groups, which, for various reasons, have not achieved their own independence. On the other hand, the text of the publication sounds entirely clear and natural, which is also helped by its transparent structure. Dividing the slender academic book into as many as nine chapters is, however, approaching the line of unacceptability. It is not a secret, nor a mistake, that the publication of the book has a certain nation building dimension, that it is trying to increase and strengthen national awareness of the Rusyn ethnic group. In the end, if an author who is the Chairman of the World Council of Rusyns omitted this aspect, it would be rather strange. It is noteworthy, though, that, in the book, there is no sign of nationalism or xenophobia, which is quite common in similar publications and which often, uselessly, initiates venomous controversies. Only in vain would we look for invectives against pro-Ukrainian ethnic groups, against the Ukrainian nation or state; of course, not taking into account critical remarks on the non-acknowledgement of the Rusyn minority in Ukraine. A significant advantage of the presented work is an impartial commentary on the important role of religion and churches in the history of the Rusyn ethnic group. The influence of religion and church institutions is evaluated in a very realistic manner. The author finds the influence indisputable, but does not overrate it, which is quite rare among present Rusyn authors. The fact that P. Magocsi does not favour the Greek-Catholic Church must also be appreciated. Similar attention has been paid to the functioning of the Orthodox Church and its clergy. Thus, it is not only representatives of the Union (A. Bačinskij, J. Bazilovič, M. Lučkaj, A, Duchnovič, V. Hadžega, P. P. Gojdič, T. Romža) who are presented as positive historic figures, but also representatives of the Orthodox Church (J. Zejkan, A. Tóth, M. Sandovič). The publication Народ нивыдкы has not only interesting content but also attractive form, which is why it must satisfy every reader and evoke the keen interest of the public. This is thanks to the form of material elaboration and the style of its presentation as well as its aesthetic qualities, especially brilliant illustrations of various kinds, which are adequately and sensibly arranged within the content and chronological sequence. Commentaries to illustrations by V. Paďak, subtly complete and specify the main text and are an organic part of the monograph. The rich illustration material pictures natural surroundings, historic figures, folklore, architecture, maps, documents as well as publications connected to the history of the Carpathian Rusyns. The variety of this material does not allow an impression of congestion and stuffiness, which is quite common if the artistic aspect is overexposed. Naturally, there is no human product in the world that would have no mistakes or defects. The presented illustrated publication about the history of the Carpathian Rusyns has also its weaknesses. Certain simplifications in the description of the historic process in the Carpathian area is one of them. This is a consequence of a discrepancy between the size of the book and its content and time boundaries. An inexperienced reader could get the impression that the development of the Rusyn ethnic group happened in certain leaps and, without significant problems, directly headed toward the present time. That is why continuity of the historic development should have been expressed more pithily. Statistics is a common weakness in similar publications, especially when referring to such a large time and space frame as in this case. Numbers give the impression of exactness and argumentative power if they are accurate, refer to a concrete phenomenon and can be verified at present. If this is not the case, and this concerns almost all historical statistics, they are only of a superficial importance. They are useful in creating or specifying reader’s ideas, but they cannot be used to draw historic and, even less, politic conclusions. If data were calculated in different ways and times, they cannot be compared at all. A certain unbalance can be observed when comparing the amount of space and information devoted to the history of Rusyns living in particular regions. Naturally, in history as well as present conditions, a majority of the Rusyn ethnic group has lived in the present-day Zakarpat’ska region of Ukraine and in north-eastern Slovakia. This does not mean, though, that the history of Lemkos can be reduced to the issue of the Florin Republic or the event of “Wisla“. Rather little attention was paid to the Rusyn commonalty in America, which has significantly influenced solving the issue of Carpathian Rusyns since the beginning of the 20th century. The Rusyn localities in present-day Hungary and Romania are, in the publication, mentioned only symbolically. From our point of view, the most controversial issue in the whole monograph is using the term Carpathian Rus’ to refer to residential region of Rusyns in Ukraine and Slovakia, as well as Lemkos in south-eastern Poland. We are convinced that it is at the best inappropriate to give a distinctive name to a territory located according to ethnographic borders, if a certain political aspect is concerned. It is unacceptable also in such a case if the ethnic borders were determined in the most impartial way possible. We do not think, though, that this is the case of the Rusyns in the central Europe. Apart from this, with regard to the historically well-known (and in the past also partly officially used) terms such as Sub-Carpathian Rus’, Carpathian Ukraine, PriKarpatska Rus’, which actually referred to various administrative and geographical units, rehabilitation of the term Carpathian Rus’ would deepen non-transparency or even confusion in terminology. Not considering the outlined facts, in general it can be claimed that the attractive publication The People from Nowhere represents another important step in getting to know the history of the Rusyn ethnic group in the Carpathian area, and especially its popularisation. That is why sincere thanks need to be expressed to the author of the work, his close colleagues, the publisher, as well as sponsors. The work, thanks to a respectable content and excellently managed form, can fulfil several functions and, at the same time, serve as a complementary educational text, a handbook for teachers and students, a representative gift, but especially as a good piece on the bookshelf of every Rusyn patriot. The cover of the newest book of Prof. Paul Robert Magocsi – Narod nîvydky (THE PEOPLE FROM NOWHERE), which has already been issued in three editions – Rusyn, English and Ukrainian. In 2007, Slovak, Romanian and Polish editions will be published. 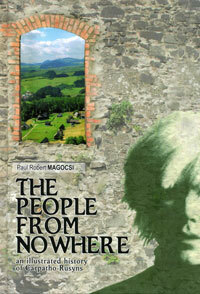 ... On February 16th, 2007, a significant event took place in the State Academic Library (SAL) in Prešov – a presentation of the two newest books connected to the name of Paul Robert Magocsi, a professor at the Toronto University and a member of the Canadian Royal Academy of Science – NAROD NîVYDKY (THE PEOPLE FROM NOWHERE) and CARPATHO-RUSYNS AND THEIR NEIGHBORS. The first one was written by Professor Magocsi and it was presented in three versions – Rusyn, English and Ukrainian. The second one is an annual of academic articles in the area of Rusyn studies, which was compiled by three Professors from the USA: Bogdan Horbal, Patricia A. Krafcik and Elaine Rusinko. In the annual, 23 authors from various countries contributed in five different languages. In Slovak Rusyn, the article Rusînskyj jazyk u svitľi peršych zmin pravyl pravopysu (The Rusyn Language Illuminated by the First Orthographic Changes) by Assistant Professor Vasiľ Jabur and Doctor Anna Pliškova, PhD., employees at the Department of Rusyn Language and Culture, Institute of Regional and Ethnic Minority Studies, University of Prešov. Apart from them, the following academics from Slovakia presented their articles in the above publication: Professor Juraj Vaňko, CSc. (translator’s note: CSc. – socialist era qualification equivalent to PhD. ), Professor Peter Švorc, CSc., Doctor Marián Gajdoš, CSc., and Doctor Stanislav Konečný, CSc. The following authors from Slovakia were also present at the gala presentation of the book Carpatho-Rusyns and their Neighbors: A. Plišková, S. Konečný and P. Švorc. The annual was kept a secret from P. R. Magocsi, as it was supposed to be a surprise gift dedicated to him as one of the most significant historians in the world for his 60th birthday in 2006, which was successfully managed. At the beginning of the book presentation in the Slavonic Department of the State Academic Library (SAL), a performance of members of “Šariš“ folk group (based at the M. Moyzes Music School in Prešov and lead by J. Piroh, a teacher and the group leader) created a festive atmosphere and pleased all those in attendance. The guests of honour at the presentation: (from left to right) Professor Š. Šutaj, DrSc., Professor P. Švorc, CSc. (who gave an academic talk about the annual Carpatho-Rusyns and their Neighbors), Professor P. R. Magocsi, PhD. and Doctor S. Konečný, CSc. (who gave an academic talk about the book Narod nîvydky). The guests were welcomed by Mgr. V. Zavadská, the Head of SAL in Prešov, who, on behalf of the Slavonic Department of SAL, was presented with the newest valuable publications by P. R. Magocsi. In the background, Mgr. Alexander Zozuľák, the event organiser and presenter can be seen. The presentation of both books was of high quality and enriched the cultural-nationality life of not only Rusyns in Prešov, but also broader communities of readers of other nationalities. It was prepared by the Slovak Association of Rusyn Organisations in cooperation with the State Academic Library in Prešov. The book by Mikuláš Hvozda is entitled Confession of a Rusyn (2006) and it follows after the previously published books of a new editorial subject, a civic union – the World Congress of Rusyns. The previously released books were “Misery has uprooted Rusyns” by Mikuláš Kseňák (2002) and “Significant for Rusyns” (2005) compiled by Gabriel Beskyd and Alexander Zozuľák. The latest book of WCR is an anthology from the latest poetic work of poet M. Hvozda, where, most importantly, he presents his patriotic poetry, such as Fatherland, The voice of Rusyn, Let´s be proud of them, The Genuine Rusyn, and so on. The publication was edited and revised by PhDr. Mária Maľcovská and PhDr. Anna Plišková. The language used in the book is Rusyn, it was funded by the Slovak Ministry of Culture, it consists of 64 pages and it can be purchased for 100 Slovak crowns at the following address: Svetový kongres Rusínov, Duchnovičovo nám. 1, 081 48 Prešov. We could say that contemporary Rusyn literature, considering the opportunities of its development during the previous decades, probably expects its potential to be realised. In spite of that, also today, there are several mature authors, who are with their creative work building a road, on which, in the future, Rusyn talents could and should walk. Surely, one of the most significant “architects“ of the new Rusyn literature in Slovakia, expanding over the ethnic borders, is Štefan SUCHÝ, who, still with a great creative vigour, celebrated his 60th birthday on May 24th, 2006. He is a prolific writer, who, in the Rusyn literary process, as he himself says, has not uttered the last word and we can already today say that his literary work covers a broad spectrum, as it comes in many literary forms and genres. He began with poetry (the collections „Hir´ska vîšňa“ (A Mountain Black Cherry), 1982 and „Soňačna kompozîcia“ (Sunny Composition), 1987 were published in Ukrainian, the next ones in Rusyn – „Rusîňskyj spivnîk“ (Rusyn Songbook), 1994, „Endi sidať na mašynu vičnostî“ (Endi Is Sitting on the Train of Eternity), 1995, „Aspirin“, 2006), but he also tried his creative power in the field of humorous prose („Jak Rusnaky relaksujuť“ (How the Rusnaks Relax), 1997), he made the genre of radio plays home in the Rusyn literature („Dobra voda“ (Good Water), „Skleroza“ (Sclerosis), „Ruleta“ (Roulette), Chľib dušy otc´a Aleksandra“ (The Bread of Father Alexander’s Soul), „Vladyka abo dobryj učenîk Christa“ (Primate or a Good Disciple of Christ)), he is a playwright („Vybrany uryvky iz Staroj i Novoj Zapovidî“ (Selected Passages from the Old and New Testament)), but also writes poetry for children („Azbukarňa“, (Alphabetarium) 2004). With his creative work, the writer raised the Rusyn literature from simple-national folklore writing, and, at the same time, considerably contributed to the development of the Rusyn literary language. In 2000, he was awarded the title Laureate of Alexander Dukhnovich Award for Rusyn Literature for his literary work. On this most significant jubilee, her 55th birthday, which our colleague, editor and writer Mária MAĽCOVSKÁ celebrated on May 5th, 2006, we wish good health, a lot of enthusiasm and creative euphoria. In December 2005, an anniversary volume of the International Academic Seminar papers was issued. The seminar took place on October 1, 2005 at the Russian House in Presov on the occasion of the 110th anniversary of the start of education in the Greek-Catholic Russian (Rusyn) Teacher´s Seminary and the 80th anniversary of the purchase of the Russian House building in Presov. The book was published by the World Congress of Rusyns as its 2nd original publication with the financial help of the Slovak Ministry of Culture and the Presov Self-Government District. Mgr. Gabriel Beskyd and Mgr. Aleksander Zozulyak compiled the volume. It can be purchased from the editorial office of the Rusyn and Lyudove Noviny Press for 100 Sk or cash on delivery for 120 Sk. In November 2005, a new patriotic poetry collection by Stefan Smoley from Medzilaborce named Ne haňb sja, Rusîne! (Be not embarrased, Rusyn!) was issued. It was published by the Rusyn and Lyudove Noviny Press as its 12th original publication (or 69th publication with the same title). The collection has two parts: Rusîňsky molîtvy a Vďaka materî (Rusyn Prayers and Thanks to Mother). The book can be purchased from the editorial office of the Rusyn and Lyudove Noviny Press, Duchnovicovo nam. 1, 081 48 Presov for 100 Sk or cash on delivery for 120 Sk. The publication expenses were partly covered by the Slovak Ministry of Culture. In August, 2005, a texbook entitled “Literary Eduation for the 9th grade of Rusyn language Middle Schools“ and written by Jan Hrib, an experienced retired pedagogue of Repejov, was published. The textbook deals with the Rusyn literature of the period from the beginning of the 20th century until the present day. It gives information about the lives and work of most Rusyn poets and prose writers with samples of their work. It is interesting not only to school children but also anyone with an interest in Rusyn literature. The textbook is 128 pages long. The textbook of Rusyn Literature for the 4th grade of Rusyn Language Middle Schools has a similar content. It informs about the development of the Rusyn language from the beginning of the 20th century until the present day and contains samples of less well-known Rusyn writers´ work. Moreover, the author of the textbook Mgr. Stefan Sukhy managed to incorporate a text about three literary critics. This textbook is also aimed at the general public as well as students. It is 128 pages long. These textbooks can be purchased for a convenient price of Sk 300 at the editorial office of the Rusyn and Lyudove Noviny Press in Dukhnovicovo nám. 1, 081 48 Presov, e-mail: rusyn@stonline.sk (stock permitting). Michal Pavuk, a Rusyn folk poet and contributor to the Rusyn, Narodny novynky Press and Rusyn folk calendar, was born on September 20th, 1925 in Korolev upon Tisa (the Svalyava region, Sub-Carpathia in Ukraine). He has retired and lives in Bratislava. His poems were published in two collections of Rusyn poetry entlitled “Муза спід Карпат” (Pliskova, A., ed: The Muse of Sub-Carpathia; Presov, 1996) and “Тернёва ружа” (Pliskova, A., ed. : A Thorn Rose; Presov, 2002). He wrote a great number of poems as well as an extensive historical novel in verse entitled “Rusyniana” (which has not been published yet). We wish Mr. Pavuk good health, a lot of strength and unceasing inventive inspiration. Contemporary or retrospective collections of literary works. A contemporary anthology usually contains recently created works that are not published by authors in their own individual volumes. Retrospective anthologies are usually a representative sample of literary works covering a particular period, genre, or region, and including a scholarly analysis by the compiler, who is often not a belletrist but a literary critic or cultural historian. The first contemporary anthologies of Rusyn literature were compiled by the leading nineteenth-century national awakener, Aleksander *Dukhnovych, entitled Pozdravlenie Rusynov. Three volumes appeared for the years 1850, 1851, and 1852, and included poetry and prose by Dukhnovych, Aleksander *Pavlovych, and other writers associated with the *Prešov Literary Society. After World War I several anthologies of contemporary literature by Rusyn authors of various national orientations made their appearance. The works of Ukrainian-oriented writers from Subcarpathian Rus’ appeared in three anthologies, one published by the *Prosvita Society, Trembîta (1924), the others compiled by Oleksandr *Badan, Hruny stepam (1930) and by Andrii *Voron and M. Khrapko, Al’manakh pidkarpats’kykh ukraïns’kykh pys’mennykiv (1936). Works by Russian-oriented writers appeared in two volumes prepared by the *Renaissance Carpatho-Russian Student Society in Prague, Al’manakh Vozrozhdentsev (1933, 1936). Contemporary Vojvodinian Rusyns were represented in an anthology published by the *Prosvita Rusyn National Educational Society, Rusko-ukraïnski almanakh: bachvansko-srimskikh pisatel’okh (1936). During World War II, Russian-language writers in Hungarian-ruled Subcarpathian Rus’ published seven anthologies: 12—sbornik molodykh ugrorusskikh poetov (1940), Zhivaia struia (1940), Budet den’ (1941), Shagi (1941), Nakanunie (1941), Pered Skhodom (1943), and Literaturnyi al’manakh (1943). The first retrospective anthology was the Khristomatiia tserkovno-slavianskikh i ugro-russkikh literaturnykh pamiatnikov (1893), compiled by Ievhenii *Sabov and including works from the fifteenth-century Mukachevo psalter to secular writers of the late nineteenth century. Basically the same period was covered in an anthology compiled by Mykola Lelekach and M. Gryga (Vŷbor yz staroho rus’koho pys’menstva Podkarpatia, 1944). A more recent attempt to include poetry and prose from the sixteenth to mid-twentieth century appeared in Na Verkhovyni (1984), compiled by Oleksa *Myshanych. Anthologies that focus on specific periods include those compiled by Aleksander *Bonkalo (pseudonym O. Rakhivskii, Chytanka dlia doroslykh, 1919) and Iuliian Iavorskii (Novyia rukopisnyia nakhodki v oblasti starinnoi karpatorusskoi pis’mennosti XVI-XVII vekov, 1931; Materialy dlia istorii starinnoi pesennoi literatury v Podkarpatskoi Rusi, 1934) covering the sixteenth to eighteenth centuries, and by Olena *Rudlovchak (Khrestomatiia zakarpats’koï ukraïns’koï literatury, 2 vols., 1985-90) covering the nineteenth century. Poetry has received special attention in anthologies compiled by Vasyl’ *Mykytas’ and Olena Rudlovchak (Poety Zakarpattia, 1965), covering the period from the sixteenth to mid-twentieth centuries, and in three works that emphasize the Rusyn linguistic orientation: Rusinski/ruski pisni (1997) by Nataliia *Dudash, with poetry from all lands in Europe and North America where Rusyns live; Mamko, kup mi knyzhku (1995) by Petro *Trokhanovskii, with children’s poetry primarily by authors from the Lemko Region, the Prešov Region, and the Vojvodina, and Muza spid Karpat (1996) by Anna *Plishkova, with poetry from Prešov Region writers. Poetry, drama, and prose works by Lemko-Rusyn writers living in Europe and the United States appeared in an anthology compiled by Dymytrii Vyslotskii (Nasha knyzhka, 1945). Vojvodinian Rusyn writers from the twentieth century are represented in anthologies of short stories, Odhuk z rovnïni (1961), two of poetry (1963, 1984), and two for children: prose (Krizhni drahi, 1990) and poetry (Khmara na verkhu topolï, 1990). There are also a few anthologies of Rusyn literature translated into other languages. Antonín *Hartl translated prose and poetry by authors from Subcarpathian Rus’ and the Prešov Region into Czech (Pozdravení Rusínů, 1936); Ivan *Haraida translated short stories by Subcarpathian writers into Hungarian (Ruszin elbeszélők, 1943); Serhii Pan’ko translated Vojvodinian Rusyn prose (Tam, kolo Dunaiu, 1976) and Petro Skunts’ translated Vojvodinian Rusyn poetry (My tut ne hosti, 1997) into Ukrainian. Bibliography: Ia. Shternberh and Olena Rudlovchak, “Al’manakh ‘Pozdravlenie Rusynov na hod 1852 i tsars’ka tsenzura,” Naukovyi zbirnyk Muzeiu ukraïns’koï kul’tury u Svydnyku, VIII (Svidník, Bratislava, and Prešov, 1976), pp. 97-104; Olena Rudlovchak, “Kalendari Oleksandra Dukhnovycha,” in Oleksandr Dukhnovych, Tvory, Vol. III (Bratislava and Prešov, 1989), pp. 11-57; Stefan Popovych, Do 60-lïtiia od dnia smerty Evmeniia Sabova—yzvistnoho obshchestvenoho dïiatylia nashoho kraia ta 100-lïtiia ëho Khrestomatiï (Mukachevo, 1994).